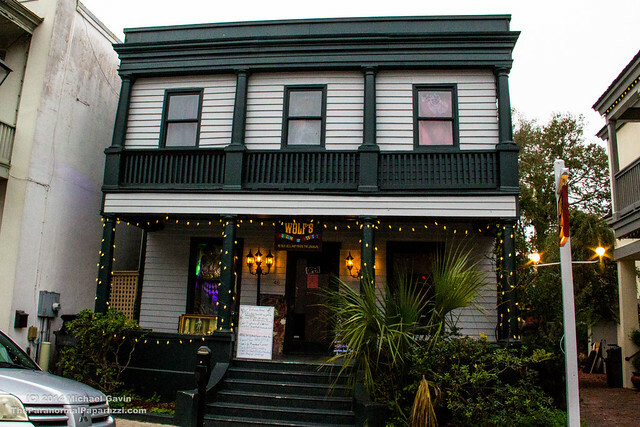 Nestled among the historic narrow streets of America’s oldest city rests a green two story 1800’s unassuming home. 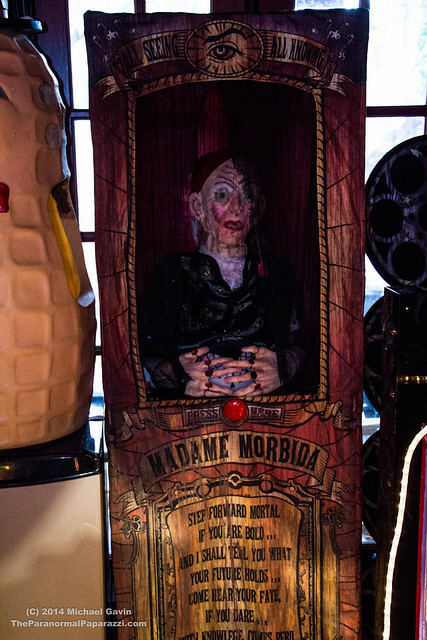 However, this is no ordinary home, for lurking within are hundreds of bizarre oddities and exhibits that make up Wolf’s Museum of Mystery. 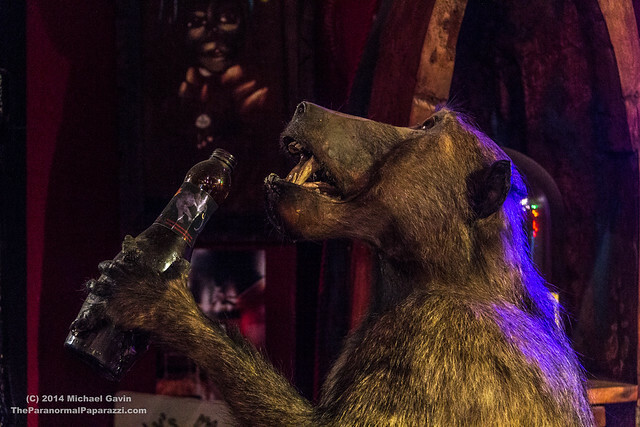 From 1800’s skull caps of executed criminals to a mummified falcon that hailing from around 330 B.C – Wolf’s is the perfect diversion from the typical tourist traps that dot the ancient city’s downtown district. 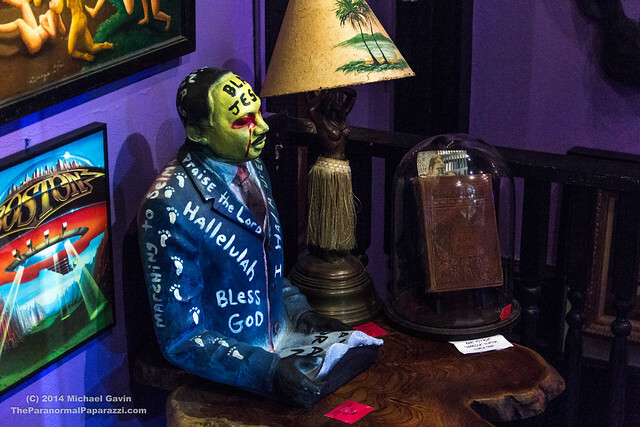 Almost every room in the 7 gallery Victorian building boasts eclectic displays and rare artifacts. 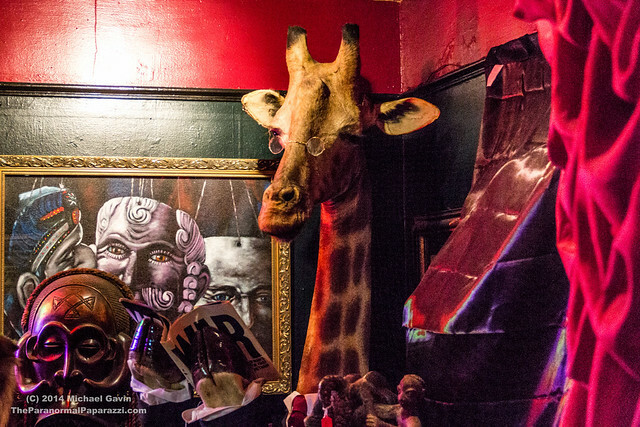 Some rooms are given completely to themed displays. 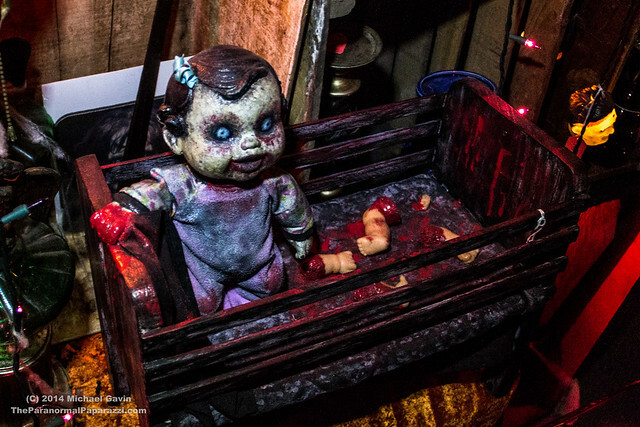 The second floor given to a more haunt theme like the bedroom dedicated to Lizzie Borden, the horror theater-including an Exorcist themed bathroom, and the Alien Autopsy room. I visited the Museum and had the opportunity to chat with former lawyer and owner Wolfgang Von Mertz. How did the collecting begin? I am the youngest of eight kids – seven brothers – and all of them had collections of sorts and I suppose it began with their hand me downs. Usually things that were broken or modest or the newness had worn off. I still have an Alaskan War mask that was my oldest brothers who parted it to another brother who eventually gave it to me. It hangs in the entryway and is one of the few things not for sale. Your Museum/home is in a historic building at the heart of the Nation’s oldest city – any history about the site that you can share? We live in a Victorian wood two story built in 1890. It is one of only two remaining original structures on our street. We have been told of the original owner being seen in the upstairs but have not seen her ourselves. However we have heard on two separate occasions a distinctive female voice at night say “hello?” And not ghostly whispering but a full bodied voice to the point we thought someone from a ghost tour or a museum patron was locked in. Both times we searched and found nothing. Mary’s apparition was more popular with the former tenants who before departing in 2011 left old pennies over every door well and window sill and her portrait hanging in what is now the gallery – presumably for our use. The city itself is known as one of the most haunted in the United States. Do you have a favorite room in the museum? 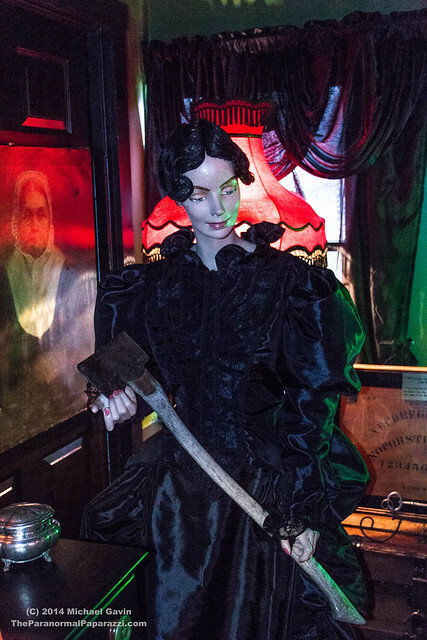 Probably my favorite room is Lizzie Borden’s Bloody Boudoir. 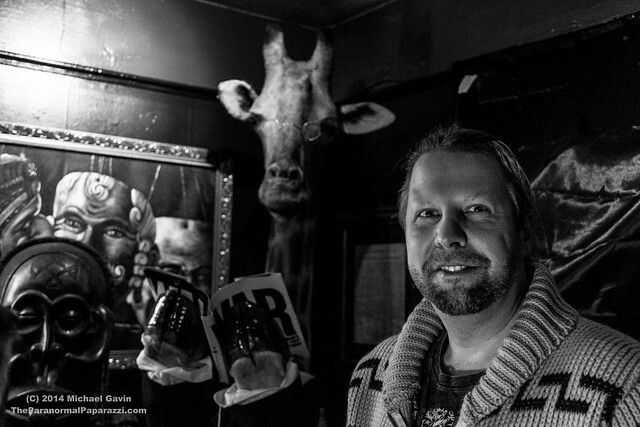 I started that room with nothing and was able to acquire some significant artifacts including her personally used beaded purse; a local newspaper from the day of the murders found in the Borden house; a whorehouse round bed and a Victorian era female skeleton. The story has always been a big interest of mine and to make a permanent themed display with all the crime exhibits showcased was a lot of fun. We also sleep in that room! Any particular artifacts in your collection that you favor? 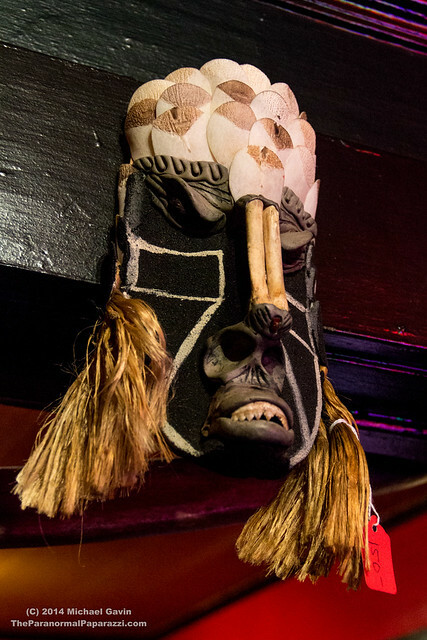 My Ceremonial used full size Chockwe Mask in the voodoo room. It came from the tribe themselves and few of this scale exist to western private collections. As an adorer of African Art, it is the finest example I have ever seen in a museum or otherwise. 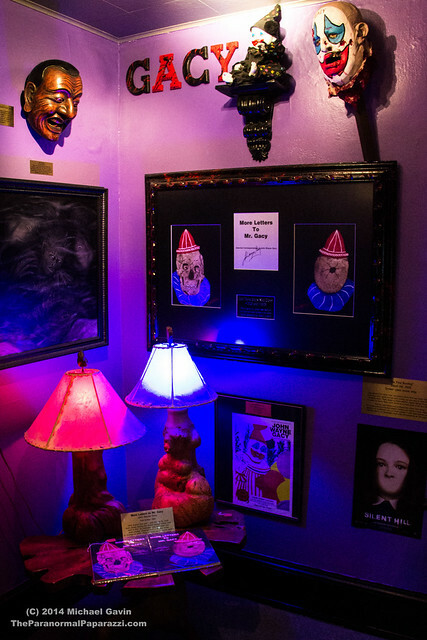 What’s next for Wolf’s Museum of Mystery? Wolf’s Museum of Mystery – the feature film – A horror film’s final scenes were filmed here in February to be released next Halloween and the producer and director are working with me to write a film based on this guy who runs an oddity shop in a historic tourist town after collecting some of the darkest items which can be found on the planet – big stretch right !? But when he opens his shop and attempts to make a profit by showcasing them – things begin to go bump in the night and no one knows if it is the evil items themselves doing the killing – or the twisted husband and wife curators. 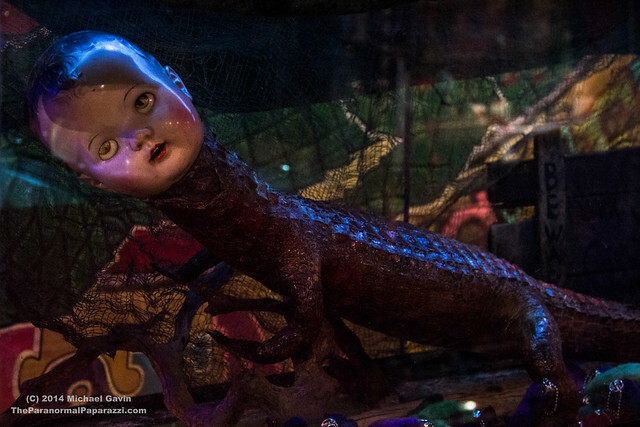 Hoping with the fancy cameras used to make the Hobbit – that we can get a visual beauty akin to House of 1000 Corpses. But it’s in the infancy contest phases now. I am also going to expand and open Butch Agony’s Slaughter House Kitchen where people can actually go into it with a black and white TV playing the Texas chainsaw massacre and a few animatronic hanging corpses. And on the first level, we plan to convert the red room into a Mayan Sacrifice Exhibit. Overall we hope to make improvements to each of the now 14 galleries at least once every month for the next year plus. It’s only about 60% done right now. 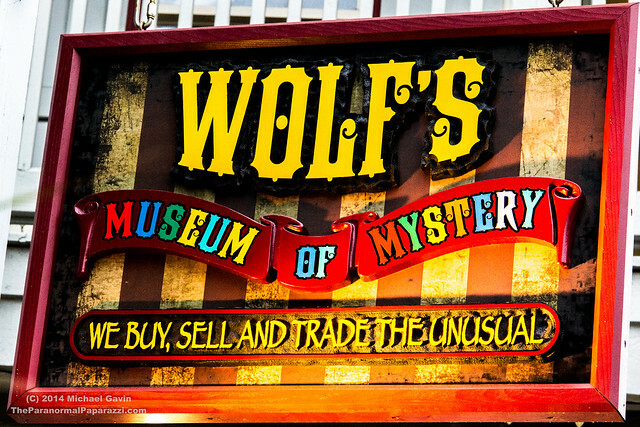 Wolf’s Museum of Mystery is located at 46 Charlotte St, St Augustine, FL 32084. 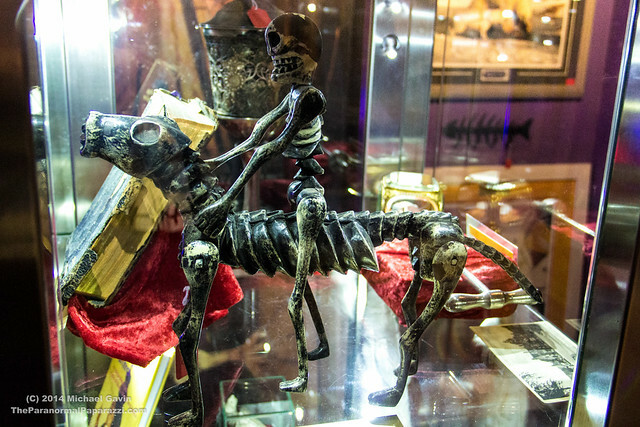 An excellent excursion for after the haunted Halloween Season, or on any trip to the Ancient City, this collection of curiosities is open year-round. More information can be found at www.wolfsmuseumofmystery.com. 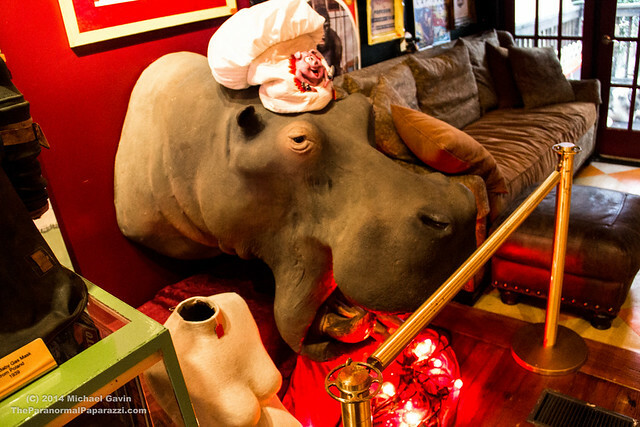 I love this place – I went last time I was in St. Augustine and it was so interesting.